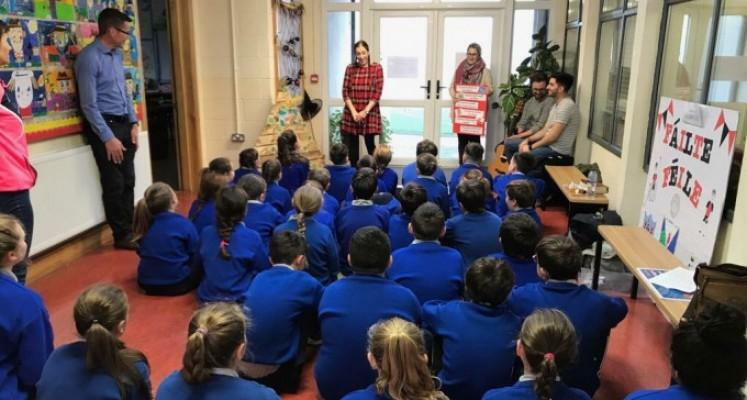 presentation into five schools in the Armagh area. Team members dressed up as Bible characters like Moses, Esther, Rahab and Thomas to deliver the message of ‘God’s Great Rescue Plan’ to the children. The children then had an opportunity to dress up themselves and try some Bible food, such as bread and honey. On the Sunday night, Bertie Coffey spoke in the Armagh Church and Lydia Jones sang. In Keady, Paul McAdam shared God’s Word, with Victoria Patrick testifying. The team also gladly participated in the mid-week meetings in the Church. congregation and get a feel for the vibrant, familial community that comprises Cavan Baptist. Christianity Explored course and seeking gospel conversations with residents. Bible studies across the county, based on the passages taught on Sunday. church’s session for primary school children. about the gospel to be started. and blessed by the teaching, hospitality and generosity of Hamilton Road Church. partnership with the Douglas Church. Together, they look for opportunities to reach into the community. Their long-term vision is to plant a church. 1896. Back then, it was a rural church.